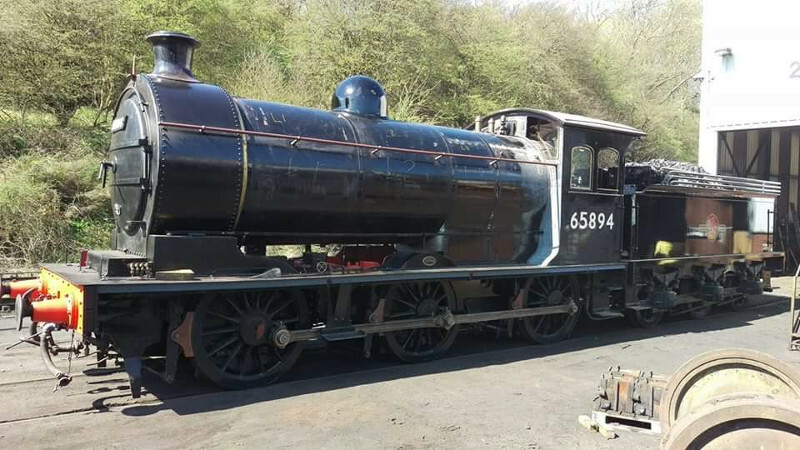 An extra progress update from Grosmont today. As forecast in my previous note, the tender was moved from Deviation Shed on Friday and coupled up to the engine. 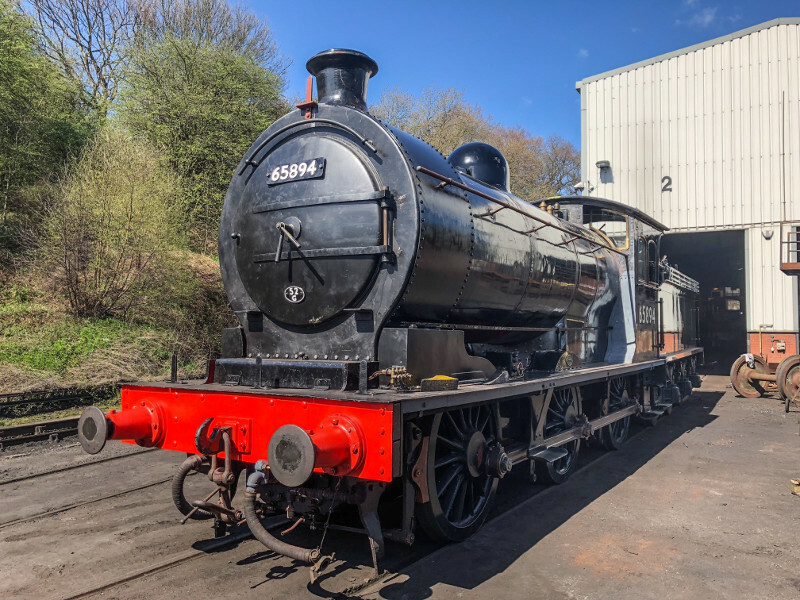 In the meantime, the blast pipe had been squared off, centralised and fitted and the bottoms of the smokebox painted to enable the sandboxes to be attached along with various bits of pipework. The ensemble was then pulled out of the Fabrication Shop and the attached photographs taken in the glorious sunshine on Friday morning. Much better quality than my phone's efforts, and quite a sight for sore eyes! Note though that the handrail is fitted only on the left hand side, and it is also only on that side that paint has been applied round to the top of the smokebox. And yes, we know that the dome is the NER style one and needs to be replaced by the BR one, but as John Furness had cleaned and painted it, it was decided to fit it temporarily for steam tests and running in, while the BR one is found, painted and then fitted, hopefully before the J27 returns to service. The two bits of cladding round the firebox sides are still missing, and Piglet is still anxious to try and find them before having to make new. If anyone knows where they may be, can they please let me know as soon as possible. The blower ring has also been found to be unserviceable, and new parts are being made for it as it is essential this is fitted before any steaming takes place. The mechanism for operating the sandboxes has also been found to require some adjustment following their installation. The many parts of the cab floor were moved from Deviation Shed today and put by the engine in the Fabrication Shop, ready for the MPD staff to put the jigsaw together, aided by those of the original numbers that have survived on each one. Subject to those and the other tasks identified in my note earlier this week, the current plan is for a warming fire to be put in next Wednesday night with a view to an initial steaming on Thursday. Then will follow the inevitable checking, tightening adjusting and finishing off before a formal steam test with the boiler inspector and the start of running in - up and down the shed yard initially, then up and down to Goathland in spare paths, and once 500 miles or so have been successfully completed, then final painting and into service. The 8 May target may not be quite achieved, but its first service train should only be a few days later, provided all goes well in the interim. During the running in period, Piglet has agreed that the locomotive will be available to us to 'play' with in the MPD yard and up the headshunt, and the Committee is anxious that all those volunteers who laboured so long at Hopetown, and without whose efforts the locomotive would not be on the point of returning to service, should have the opportunity of doing so, both as would have occurred should completion been achieved at Hopetown, and as a way of thanking them and recognising their contribution to the overhaul. In spite of the disenchantment that many feel about the way the decision to move the locomotive to Grosmont was handled, we hope that a number of the Hopetown volunteers will still want to take up this offer. The Owner's Representative footplate pass will also be available for footplate trips up to Goathland and back. At the moment, we cannot be certain when all this will take place, and it is likely to be at short notice, but certainly we will try to have at least one evening available as well as during the day. If any of the Hopetown volunteers want to participate therefore, could they please let me know (email or phone will be fine), preferably with an indication of preference for day or evening, and day of the week. 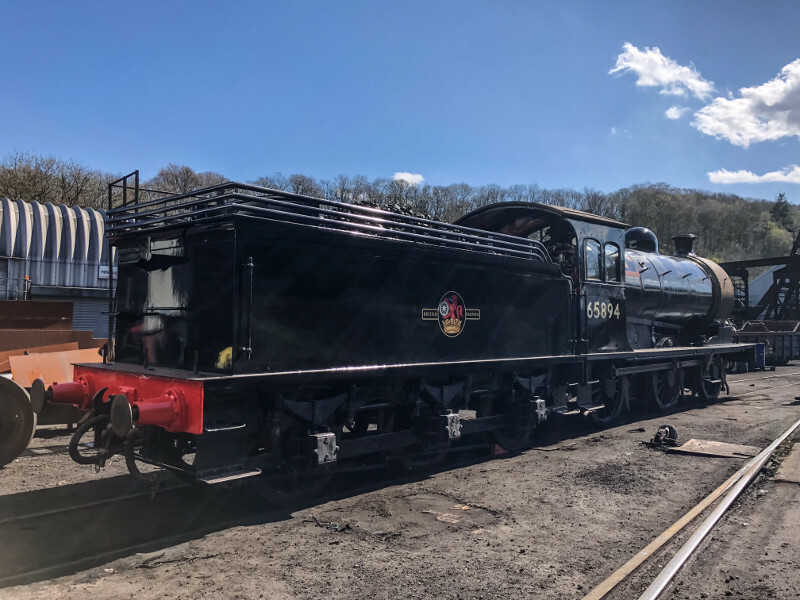 The formal launch train, originally pencilled in for 18 May, will now be held in mid June, and Dave Pennock is pursuing the arrangements with the NYMR. As well as inviting the press, this is intended to thank all those who have contributed to the overhaul over the thirteen years, so invitees will include grant awarding bodies, benefactors and volunteers, but if there are any particular groups or individuals you think should be included, then, again, please let me or Dave Pennock know. More progress reported in the J27 blog.